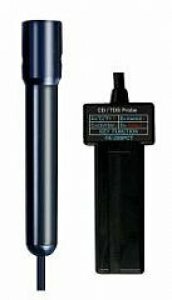 * Plug in the YK-2001PH to be a professional Conductivity and TDS Meter. * Temperature : 0 to 60.0 oC, 0.1oC/0.1oF. * ATC & variable temp. compensation factor adj.